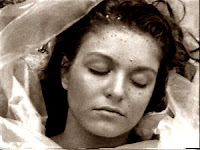 It wasn't Laura Palmer (there was no head) but a psychic investigator looking for a missing Sydney girl instead found a female torso wrapped in plastic in a reserve in Doonside. You might be thinking, "wow, she must be onto something" but remember, she was looking for a six year-old child and found the remains of a thirty-one year-old woman instead. I suppose they might be roughly the same dimensions, if you lose the head and maybe the limbs. Perhaps the spirits were being vague? Playing a practical joke, maybe? If I were a betting man I'd wager the 'psychic' will be trying to capitalise on her 'success'. No doubt she'll have her own 0900 $5.00/minute line any day now. Absolutely - I can see her lobbying for inclusion on the waste of time TV show "Sensing Murder" now on the back of her "success". Given that people inadvertantly stumble on dead bodies at a rather disturbing rate when going off the beaten path, her discovery is one that can only be attributed to chance, no supernatural or divine intervention. But I guess the cold hard truth of the universe just doesn't sell papers does it? Just another petrol sniffing abo who accidently stumbles upon a body while out in the park with a glue bag stuck to her face, i have no doubt she thought she was dreaming, its hard to tell the difference between reality and coming down of a tube of araldite expoxy!